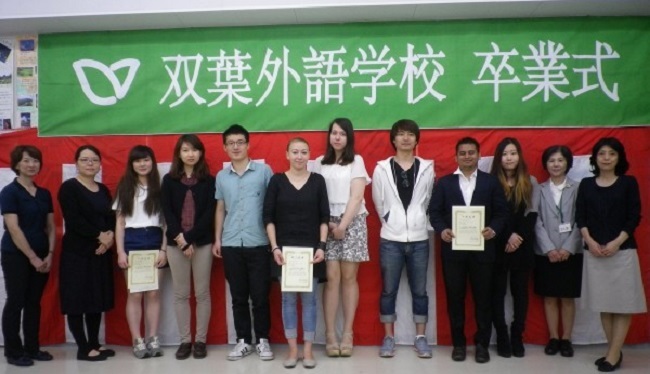 Futaba College of Foreign Languages (FUTABA) was founded in March 1960. The students of the FUTABA aim to pursue education in Japan by enrolling at colleges, universities and post-graduate schools. FUTABA offers detailed guidance for those who plan to continue their education from choosing a school to entrance exams. As a result, students are able to successfully enroll at public, private universities and colleges. 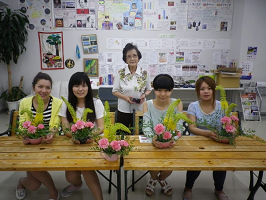 To meet significantly different needs, FUTABA teach not only Japanese but also the Japanese culture, customs and manners to deepen the understanding of different cultures. According to students’ course, experienced teachers lead them what to do. Also alternative special class is provided for students continuing to go to higher education. Counseling for students’ life and personal troubles is provided. 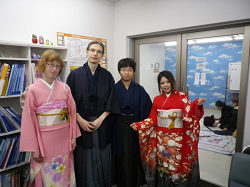 There are many chances to visit Japanese traditional and cultural facilities and to communicate with Japanese people. or get higher education in Japan. You may pay in two installments. Those who have Visas* except “Student Visa” can study from the minimum of 4 weeks for daily living, business, enrollment to Vocational School, University and Graduate School, etc. Can say basic greetings and use Japanese in basic daily conversation such as shopping, etc. Can read and write easy and simple sentences. Can understand most daily conversations. Can make a request or opinion in a manner that is not rude to the other party. Months Can understand and converse a familiar topic in school or at work as well as the ability to explain clearly at some extent. Months Can engage in daily conversations smoothly and is able to express ideas and make suggestions about familiar topics. Months Can explain in detail about a topic of interest. 6 months Can communicate in a polite and professional way depending on the situation. 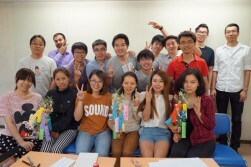 There are many kinds of events as a communication with classmates and students from different countries speaking Japanese language through the year. You have to live in the dormitory a minimum of 3 months. Upon moving-out, please make sure to inform the school at least 2 weeks in advance. Bath tub, Air-conditioning, TV, Refrigerator, Bed, Table, Internet connection are in the private room. Elevator, Refrigerator, Microwave, Vacuum cleaner, Washing machine (with charge), Dryer, Kitchen (IH cooking heater,Cooking Ustensils）are available for everyone. The tuition and fees of FUTABA are as follows. ＊Cost of text is not included. Here is the estimated cost for one academic year at FUTABA. It is based on a private dormitory (37,000 yen/month). The estimated cost will be changed depending on how you stay.